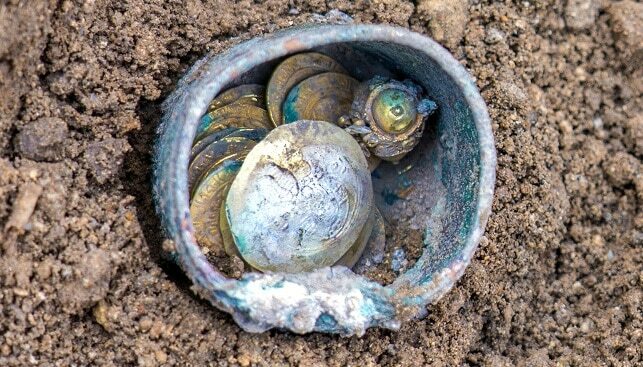 A rare and important treasure of 24 gold coins and a gold earring were recently found by excavators at the Caesarea National Park. The gold earring was found inside a small bronze utensil which was hidden inside a well. 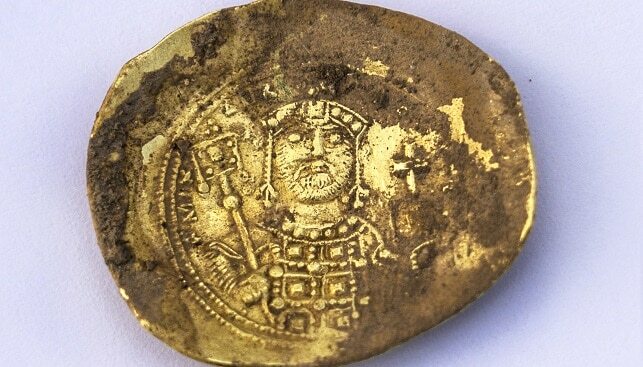 According to Dr. Peter Gendelman and Muhammad Hatar, directors of the excavation for the Israel Antiquities Authority, the treasure was probably hidden during one of the more dramatic occurrences in Caesarea’s long history – the conquest of Caesarea by the crusaders in the year 1101. Therefore, the coins are estimated to be about 900 years old. It is probable that their owners were killed or sold as slaves and never returned to claim their goods. 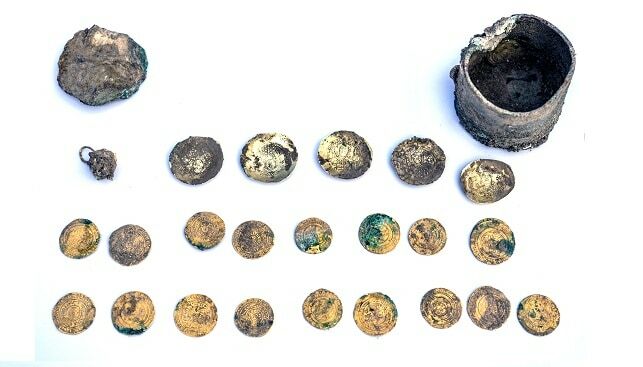 This latest find was excavated near two other important finds in the area: gold and silver jewelry found in the 1960s, and bronze utensils found in the 1990s. Both are now on display at the Israel Museum in Jerusalem. The excavations in the area are funded by the Edmond de Rothschild Foundation, which has invested an unprecedented $150 million to dig in the area and preserve the findings.